A small hotel just steps from the Caribbean Sea on Holbox Island, this collection of two-story thatched-roof villas surrounds two large swimming pools just off a white sand beach. 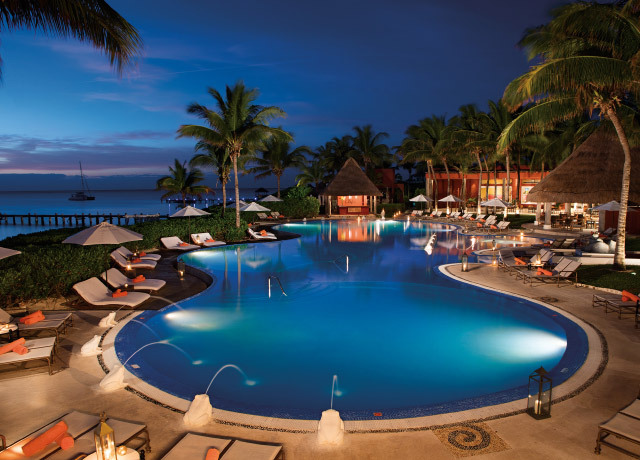 Villas Palapas del Mar is a small hotel just steps from the Caribbean Sea on Holbox Island. Built with astute consciousness for the environment, 52 rooms are dispersed among 15 two-story villas. Arranged around two large swimming pools and a palm-studded white sand beach, the relaxed, secluded, unhurried experience puts you close to nature in this small fishing village. 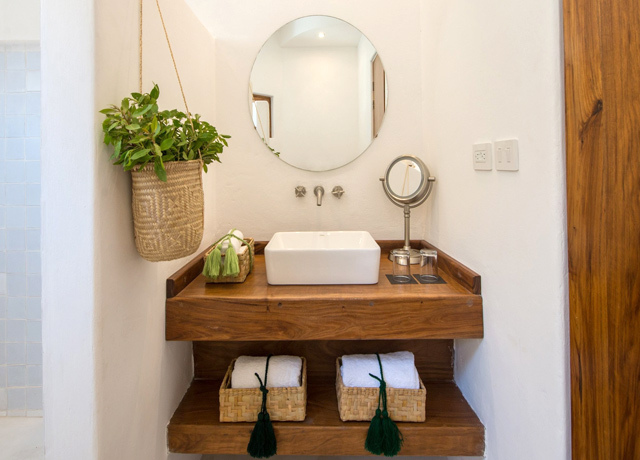 Each villa has a thatched roof and bright whitewashed walls inside and out. Architectural accents include kiln-dried wood and splashes of colorful upholstery that permeate cozy cushions and throws. Each junior suite has two queen beds, an en suite bathroom with walk-in shower, air conditioning, ceiling fan, satellite television, refrigerator and safe, with Wi-Fi available. Meals are taken on the restaurant’s colorful open terrace, where menus focus on fresh local ingredients and traditional Mexican flavors. 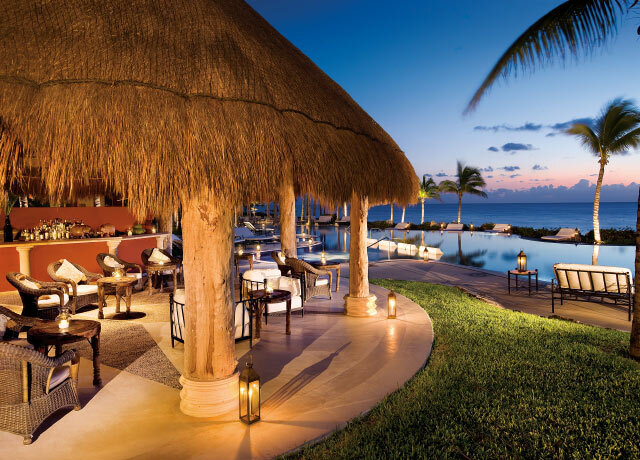 This luxury boutique resort sits directly on the beach on a quiet stretch of Mexico’s famed Riviera, with large, airy oceanfront suites that have private terraces overlooking the sea. 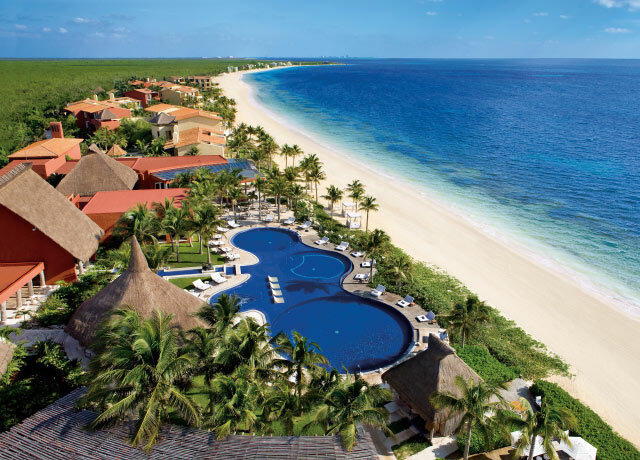 This AAA 5-Diamond boutique resort sits directly on the ocean on Mexico’s famed Riviera Maya on the Yucatan Peninsula. We stay in large, airy 1,100- square-foot oceanfront suites, each with a living room, separate bedroom with king-size bed, and a deluxe marble bathroom with hammered brass basins, walk-in shower, sunken tub for two and Bulgari bath amenities. A private terrace with double sun lounger or hammock offers unobstructed views of the turquoise sea. Each suite is individually appointed with hand-selected art from around the world, reflecting seven cultural regions. Ethnic decor ranges from textiles, art, vases and chairs representing Oriental, Hindu, Balinese, Mexican, Mediterranean, Caribbean and African traditions. The hotel offers gourmet local and organic fare at three different restaurants and a sushi/ceviche bar. Time permitting, indulge in a treatment at the award-winning Thalasso Center & Spa, a tranquil wellness retreat offering relaxing thalassotherapy (using seawater), traditional Mayan treatments, skin care, massage, body wraps and more. 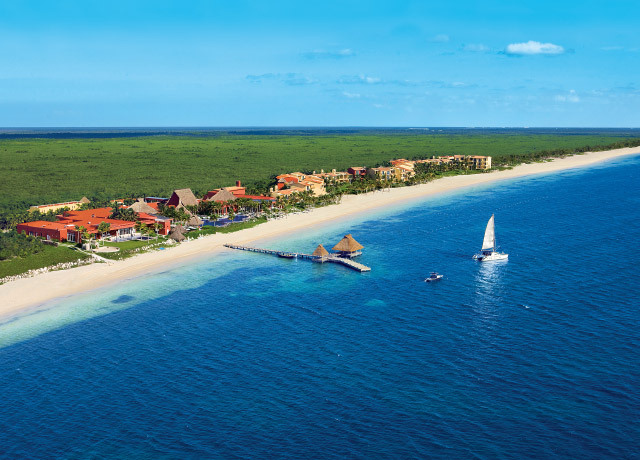 Zoetry Paraiso de la Bonita is proud to be Rainforest Alliance Certified for its exceptional efforts in meeting sustainability requirements. Among the green practices incorporated into its operations are extensive recycling (including toner and batteries), low-detergent laundry facilities, reduced diesel and electricity consumption, a pesticide-free greenhouse garden for growing plants and local reforestation, and regular beach cleanup.